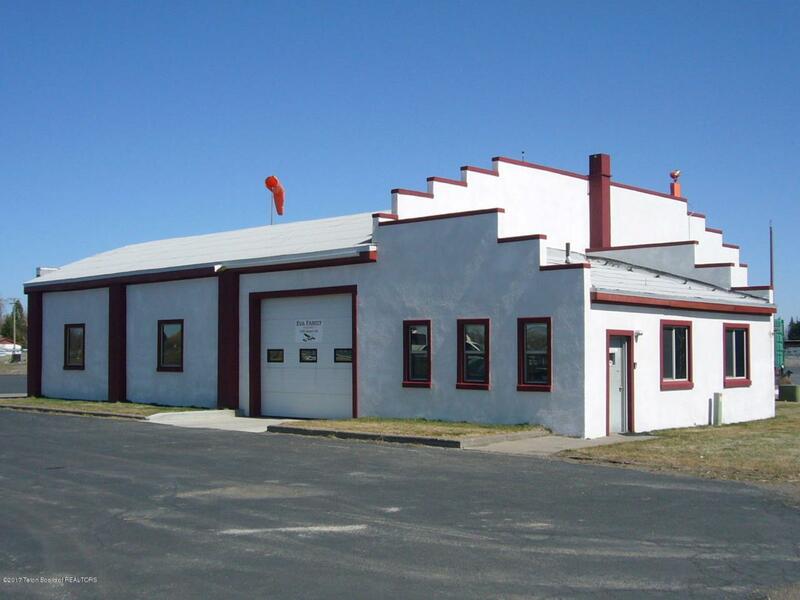 Located at the Stanford Air Field (U12) in St. Anthony, Idaho, this Art Deco hangar with concrete floor was built circa 1951 and used as the FBO and for training sky divers. The airplane hangar is 62' wide and 52' deep with a new 59' x 12' HYDRO-SWING, cantilevered, hydraulic door. Ceiling height is also 12'. Back office measures 28' x 19' and has a fully functional 1/2 bath with new fixtures. Forced air furnace powered by natural gas and ducted throughout, plus a large wood stove for additional heat in the hangar. Entire exterior was coated with synthetic stucco in 2012. New thermal pane windows installed 2012. Runway 04/22 is 4,500' in length and 50' wide.